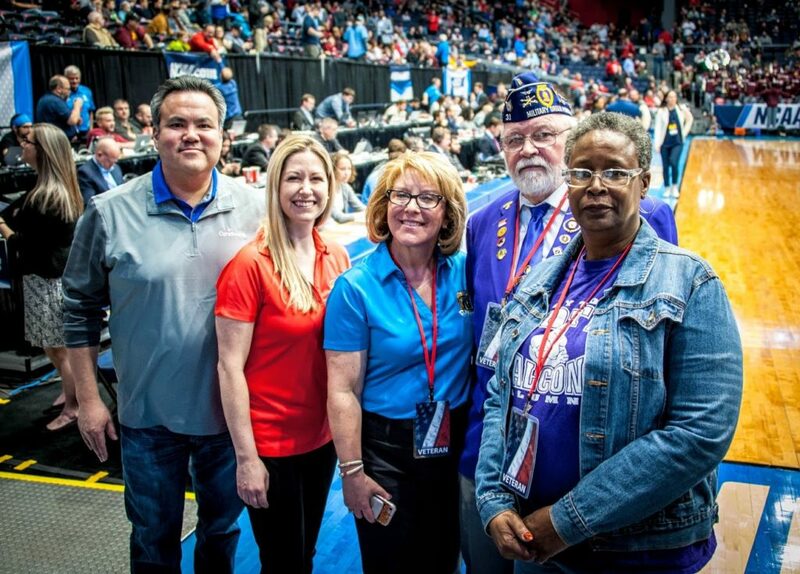 The “Big Hoopla” local organizing committee partnered with the CareSource Foundation and the Dayton Veterans Affairs Medical Center to honor local veterans. The partnership is part of the NCAA’s Men’s Basketball First Four® tournament games hosted at UD Arena in March. The new support from the CareSource Foundation increased the number of donated tickets to the local basketball games, including the NCAA First Four®. More than 40,000 tickets were donated to the region’s military by the committee since the Hoopla ticket program began in 2012. This is the first time the ticket program included veterans. CareSource, a nonprofit multistate health plan, is recognizing veterans as part of its continued commitment to serving special populations through innovative health and life services programs. (L-R) CareSource President & CEO Erhardt Preitauer, Dayton VAMC Director Jill Dietrich, Dayton VAMC Chief of Community and Public Relations Kim Frisco, Victor Cook, and Pam Poe. CareSource is a nonprofit, multistate health plan recognized as a national leader in managed care. Founded in 1989, CareSource administers one of the nation’s largest Medicaid managed care plans and offers a lifetime of access to care through health insurance, including Medicaid, Health Insurance Marketplace, Medicare Advantage and dual-eligible programs. Headquartered in Dayton, Ohio, CareSource serves nearly 2 million members in Georgia, Indiana, Kentucky, Ohio and West Virginia. CareSource understands the challenges consumers face navigating the health system and is transforming health care with industry-leading programs that improve the health and well-being of our members. For more, visit www.caresource.com, follow @caresource on Twitter, or like CareSource on Facebook.